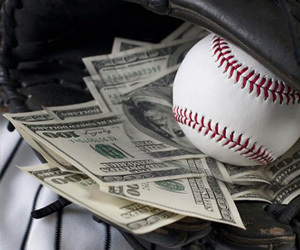 When sizing up the MLB sports betting odds each day, starting pitchers should be the first stop. Outside of maybe quarterbacks in football, no one position defines the outcome of a game more than who’s toeing the rubber. As you wager on big-league action this spring, summer and fall, here’s how you can handicap MLB starters like the sharp players. As the season plays out, pitchers get hot and cold. Their season-long ERA may give you a glimpse into their success, but it’s best to shrink the results to their last three appearances. Not only does this give you a better understanding of a pitcher’s current state but also helps spot value when playing on or against an arm that could be over or underrated based on those long-term stats. Baseball bettors will want to check out things like recent pitch count and innings worked, as well as walks issued and strikeouts. Looking at a pitcher’s WHIP over their last three starts is a good stepping stone. You’ve got to give some love to the guys calling the balls and strikes. Find out what kind of pitcher you’re dealing with first – a control guy who likes to paint the corners or a power pitcher who goes after batters – and then see how the home plate umpire that day has called previous games. If you get an ump with a liberal strike zone and a pitcher who forces hitters to chase stuff outside, then you know the advantage goes to the hurler. That gives added value to that pitcher’s side and the Under. On the other hand, if you have that same pitcher and an ump that likes to squeeze the strike zone and make starters work for those Ks, you could see the pitcher get frustrated and throw some balls inside the zone which could quickly turn into hits and runs. In that instance, you could get good betting value going against that side and playing the Over. For the most part, there are ground-ball pitchers and fly-ball pitchers. And depending on which type you’re handicapping, you’ll need to know the weather for any game being played outside. A ground-ball pitcher is less impacted by strong winds while a fly-ball pitcher can see their results influenced dramatically by those gusts. Strong winds blowing in toward home plate can push would-be home runs back in the park while those gusts blowing toward the outfield can transform routine flyballs in big flys. Take a look at the weather – more specifically the wind – and how it can impact the style of starters. As the MLB season progresses, bettors will get stacks of data on how pitchers perform against left and right-handed hitters. And, in turn, they’ll get similar info on how certain lineups/batters fare versus righties and lefties on the mound. There are always a few baseball teams that get the best of one or the other. Last season, teams like Detroit and the Chicago White Sox hit .280 BA or above against southpaws, but didn’t have the same success versus right-handed hurlers. And, clubs like the Astros and Marlins smashed right handers but weren’t as prolific at the plate against lefties. Sure, this is more about capping the players around the pitcher but run support and bullpen stability is huge mental angle when it comes to capping starters. Knowing that a team can put a buffer on the board takes a lot of the pressure of a pitcher to be perfect. On teams that can’t provide those insurance runs, starters will often try too hard to win a game single-handedly and pitch beyond their comfort zone. There’s a similar influence when it comes to bullpens. A starter with reliable relievers knows he doesn’t have to go seven or eight innings deep into an outing, and can pitch with the same pace and style he’s accustomed to. However, when that support isn’t there not only do starters feel the pinch to go deep but managers may leave a starter in longer than he should, allowing them to tire and get beat up late into an appearance.